Hubble Space Telescope has looked deep into the distant universe and detected the feeble glow from a star that exploded more than 9 billion years ago. This isn't just any dying star. It belongs to a special class called Type Ia supernovae, which are bright beacons used as distance markers for studying the expansion rate of the universe. Type Ia supernovae most likely arise when white dwarf stars, the burned-out cores of normal stars, siphon too much material from their companion stars and explode. The stellar explosion, given the nickname SN Primo, will help astronomers place better constraints on the nature of dark energy, a mysterious repulsive force that is causing the universe to fly apart ever faster. SN Primo is the farthest Type Ia supernova whose distance has been confirmed through spectroscopic observations. Spectroscopy is the "gold standard" for measuring supernova distances. A spectrum splits the light from a supernova into its constituent colors. 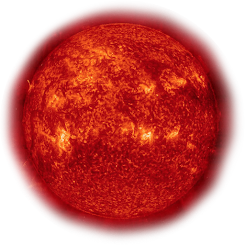 By analyzing those colors, astronomers can confirm its distance by measuring how much the supernova's light has been stretched, or reddened, into near-infrared wavelengths due to the expansion of the universe. The sighting is the first result from a three-year Hubble program to survey faraway Type Ia supernovae, opening a new distance realm for searching for this special class of stellar explosion. The remote supernovae will help astronomers determine whether the exploding stars remain dependable cosmic yardsticks across vast distances of space in an epoch when the cosmos was only one-third its current age of 13.7 billion years. 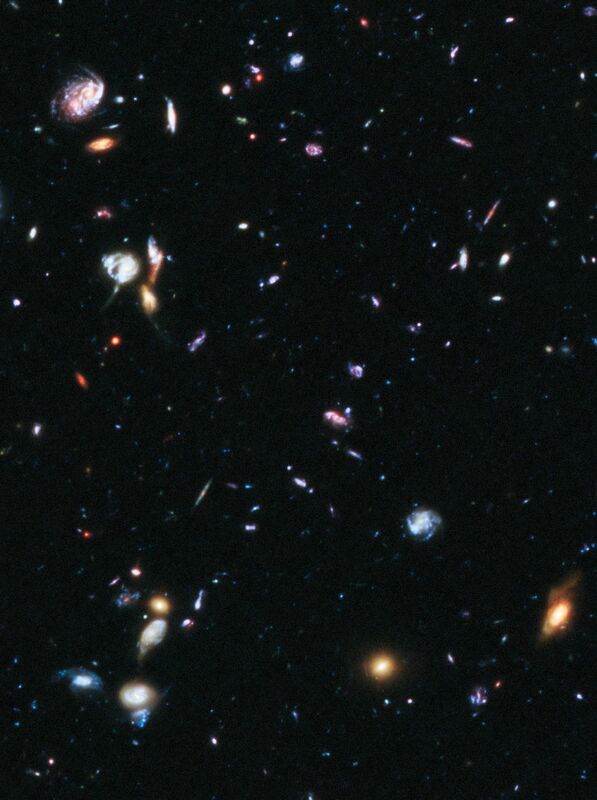 Called the CANDELS+CLASH Supernova Project, the census is using the sharpness and versatility of Hubble's Wide Field Camera 3 (WFC3) to help astronomers search for supernovae in near-infrared light and verify their distance with spectroscopy. WFC3 is looking in regions targeted by two large Hubble programs called the Cosmic Assembly Near-infrared Deep Extragalactic Legacy Survey (CANDELS) and the Cluster Lensing and Supernova Survey with Hubble (CLASH). "In our search for supernovae, we had gone as far as we could go in optical light," said the project's lead investigator, Adam Riess of the Space Telescope Science Institute and The Johns Hopkins University in Baltimore, Md. "But it's only the beginning of what we can do in infrared light. This discovery demonstrates that we can use the Wide Field Camera 3 to search for supernovae in the distant universe." The new results are being presented today at the American Astronomical Society meeting in Austin, Texas. A paper describing the study has been accepted for publication in The Astrophysical Journal. The supernova team's search technique involved taking multiple near-infrared images over several months, looking for a supernova's faint glow. Once the team spotted the stellar blast in October 2010, they used WFC3's spectrograph to verify SN Primo's distance and to decode its light, finding the unique signature of a Type Ia supernova. The team then re- imaged SN Primo periodically for eight months, measuring the slow dimming of its light. By taking the census, the astronomers hope to determine the frequency of Type Ia supernovae during the early universe and glean insights into the mechanisms that detonated them. "If we look into the early universe and measure a drop in the number of supernovae, then it could be that it takes a long time to make a Type Ia supernova," said Steve Rodney of The Johns Hopkins University, the science paper's first author. "Like corn kernels in a pan waiting for the oil to heat up, the stars haven't had enough time at that epoch to evolve to the point of explosion. However, if supernovae form very quickly, like microwave popcorn, then they will be immediately visible, and we'll find many of them, even when the universe was very young. But each supernova is unique. It's possible that there are multiple ways to make a supernova." If astronomers discover that Type Ia supernovae begin to depart from how they expect them to look, they might be able to gauge those changes and make the measurements of dark energy more precise, Riess explained. Riess and two other astronomers shared the 2011 Nobel Prize in Physics for discovering dark energy 13 years ago, using Type Ia supernovae to plot the universe's expansion rate. After extending the frontier for supernova discoveries with Hubble, a full scrutiny of this new territory will have to wait for the James Webb Space Telescope (JWST). Scheduled to launch later this decade, JWST will probe exploding stars at much farther distances than Hubble can reach. JWST will be able to see farther into the infrared than Hubble does. This capability will push back the frontier by probing more than 11 billion years back in time, when the universe was only 2 billion years old.